Home » News » Get Your Vision in Top Shape with Orthokeratology! Get Your Vision in Top Shape with Orthokeratology! Imagine leaving your house in the morning with no eyeglasses or contact lenses – and seeing all the fine details of the world around you! Does it sound like a dream? With Ortho-K vision shaping lenses, this dream is a modern reality (with no surgery required!). Vision shaping with orthokeratology is the latest trend in eye treatment. After wearing specialized Ortho-K lenses while you sleep, you’ll wake up to crisp and clear eyesight. Having sharp vision has never been so easy and comfortable. At Dr. Wong & Associates, we fit many patients expertly with Ortho-K lenses in our Stamford and Danbury offices. Contact us for more info and to schedule an appointment! Special rigid, gas permeable contact lenses are worn while sleeping. These lenses gently mold the shape of your cornea and correct any refractive error. The process is entirely painless; worn only while you’re deep in your zzzz’s, you won’t be aware of the lenses in your eyes. Side effects are minimal and pass quickly. Patients report only mild annoyances, such as seeing glare or halos around lights for the first few days. While amazing results are usually noticed within a few days, remember that the effects of Ortho-K are only temporary! To preserve crystal-clear vision on a daily basis, you’ll need to wear the lenses regularly – every night. Will Ortho-K Work for You? People with mild to moderate nearsightedness and healthy eyes typically experience the best results from Ortho-K lenses. Research studies show that more than 65% of Ortho-K users achieve 20/20 vision with these innovative lenses. Even if you were turned down as a candidate for LASIK or other refractive surgeries, Ortho-K can still be an option for you. Our optometrists at Dr. Wong & Associates will examine your eyes to determine if you’re a good candidate for this progressive procedure. For Ortho-K to be effective, an expert contact lens fitting is necessary. Over a series of visits in our Stamford and Danbury clinics, we’ll take measurements of your cornea and custom-fit you with Ortho-K lenses. 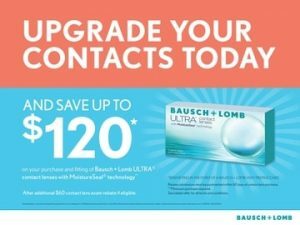 At present, two brands of vision shaping lenses are FDA-approved and widely available: Corneal Refractive Therapy (CRT), by Paragon Vision Sciences, and Vision Shaping Treatment (VST), by Bausch & Lomb. A variety of trial lenses will be used until we find the perfect fit for your eyes and refractive condition. The fitting process is more complex than for normal lenses, and yes – the expense is also higher than for conventional lenses. Yet our patients testify that their improved quality of life with Ortho-K is well worth the cost! With kids, there are no eyeglasses slipping down their nose or contacts that need proper care and handling. Ortho-K is also used successfully as a way to control myopia progression in children. Everyone is a fan of the high comfort and ultra-convenience of Ortho-K! Ortho-K is fully reversible. You can stop wearing the lenses anytime and within a few months the effects will be totally gone. Your eyes will stabilize back to their original, natural shape. At that point, if you decide that you want LASIK or an alternative refractive procedure, it’s no problem. Just be sure to tell your surgeon that you’ve worn Ortho-K and when you stopped, so the surgery can be scheduled appropriately. If you’re tired of wearing eyeglasses or dealing with daytime contact lenses, give us a call today to discuss Ortho-K! Our professional optometrists in Stamford and Danbury, CT, have plenty of experience with vision shaping, and we look forward to treating you too!